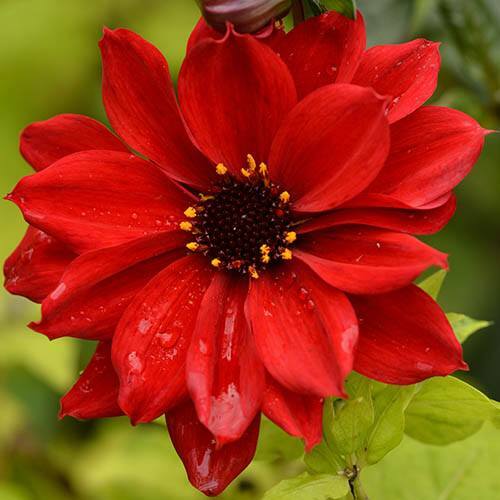 The original and still in many opinions the best dark-leaved Dahlia, which created the trend for current breeding programs. The fine, almost fern like foliage is a mahogany purple colour, setting off the stunningly bright electric red flowers, which blaze away in high Summer and well into the Autumn frosts. A stunning and much loved perennial for height and wow factor! Makes a lovely cut bloom for a late summer vase.